Premium 6 berth caravan, 2 en-suite bedrooms with veranda. Located at Parkdean Resort, Lower Hyde in the popular seaside resort of Shanklin, Isle of Wight. Both the double bedroom and twin bedroom are en-suite and there is additional pull-out double bed in the lounge area. The central lounge area features a gas fire, TV with freeview and a DVD player. There is a fully equipped kitchen, with cooker, microwave, toaster, full sized fridge/freezer and washing machine. Great property, tucked away on a great holiday park, very clean and all the mod cons. Beautiful caravan and credit to its owners. With all the mod cons you need, although the master ensuite light didn't work, (prob a bulb gone). 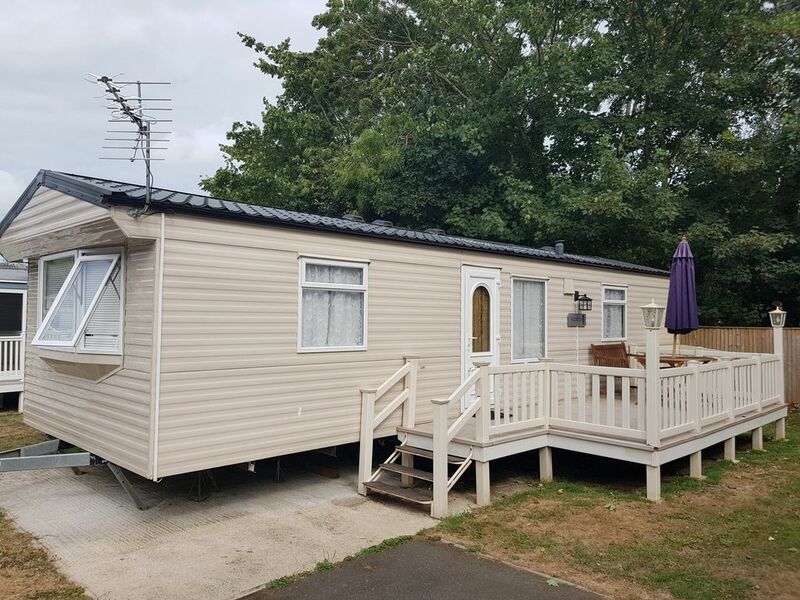 Holiday home was tucked away on a no through road and great a safe for kids to play, along with a fun packed holiday park, and only 15min walk to beautiful Shanklin beach. We loved every minute of holiday, we will definitely be back. Thank you very much for leaving such a good review and my apologies for the light in the master en-suite bathroom I had reported this to the maintenance team. I also have left you a 100% rating.